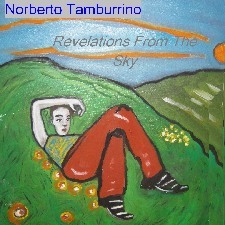 "The solo piano tunes, whether composed or improvised, are much more successful; Tamburrino connects effectively with the acoustic instrument, producing attractive, thoughtful performances across a series of brief and reflective pieces..."
"...His jazz harmony and improvised runs work together perfectly. 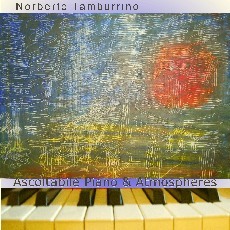 Ascoltabile Piano & Atmospheres is a must listen for jazz fans." This Album contains 16 Original tracks including 9 totally free improvised "Piano Atmospheres"
The track 7- "Is Atlantis On The Sky? is a multitrack recording with 2 pianos, and overdubbed keyboards using violins, electric piano, bass; a long piano intro built on augmented scales preceding the theme . 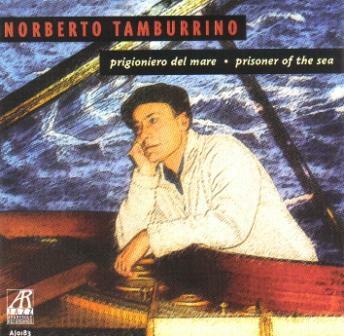 "..Tamburrino occupies the same rhythmic sensibility as Monk; playing alone, he moves around the piano with just those pensive, eccentric footsteps, clatters, trips.."